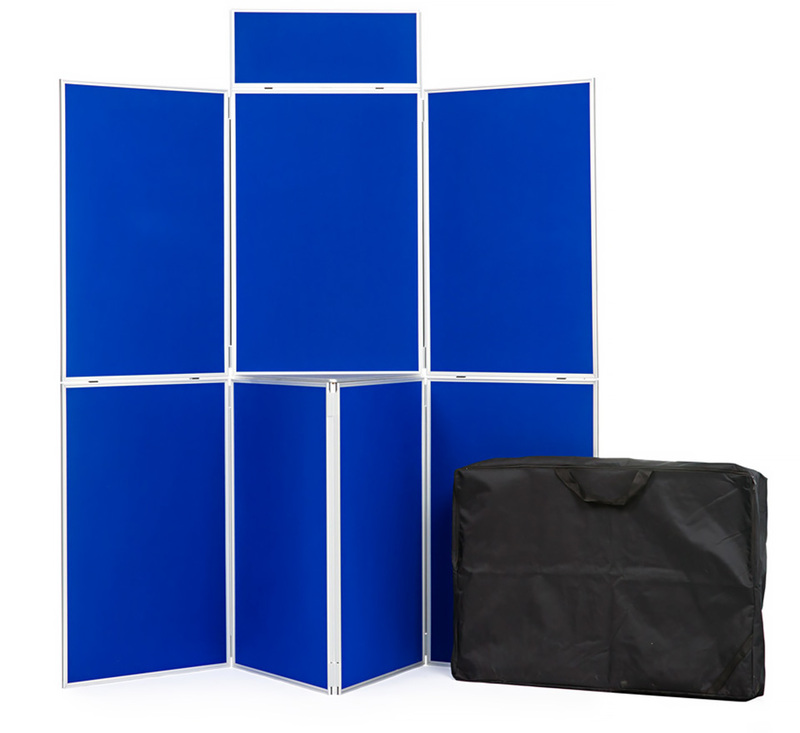 This freestanding display board kit comes with 7 display panels, header panel, display shelf and carry bag. The shelf adds an extra dimension to your display by creating an integral display plinth. Each panel has a luxury loop nylon covering on both sides, with a choice of 13 colours. The fabric is compatible with Velcro so it is easy to attach your display materials. The frame is PVC and comes in either black or grey. 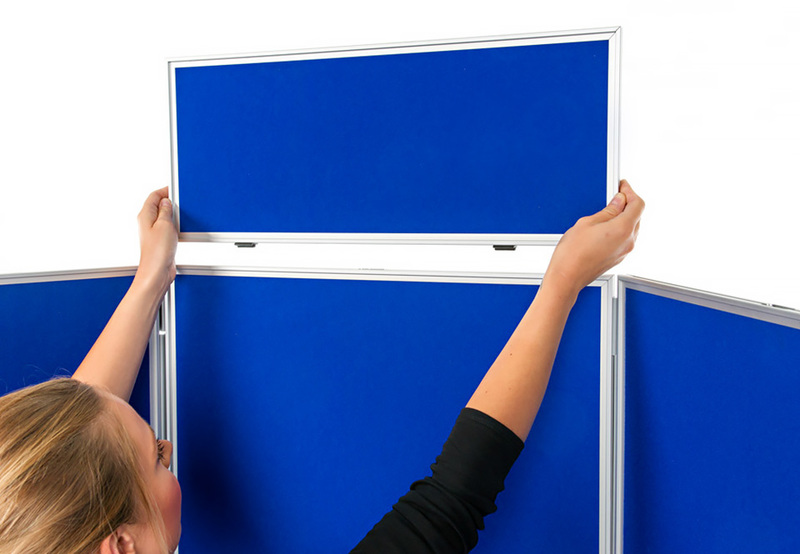 If you need a display board fast then choose the royal blue one side/light grey reverse fabric option with grey frame for same day dispatch (orders received by 2pm). 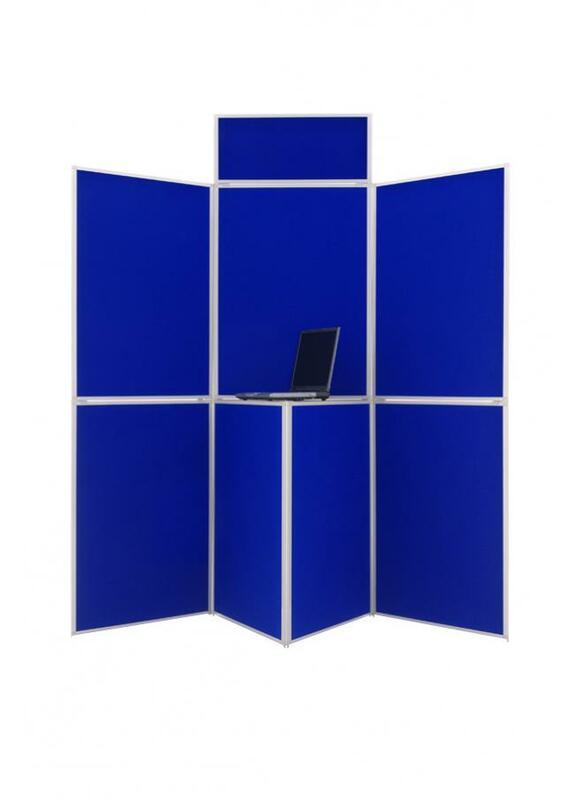 This lightweight display system is perfect for exhibitions and artwork displays in schools and colleges. 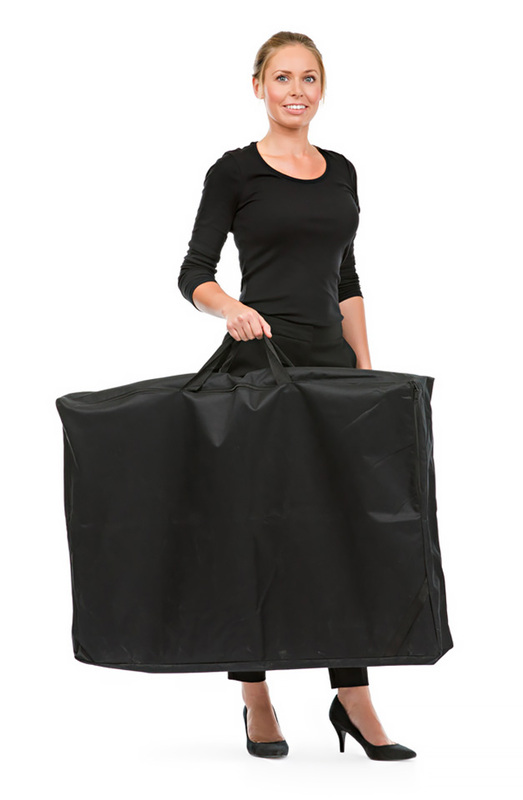 It folds away easily for storage and transport in the supplied carry bag. Royal blue/light grey fabric with grey frame is dispatched on the same working day for next day delivery* if ordered by 2pm. All other colour options are dispatched within 5 working days.